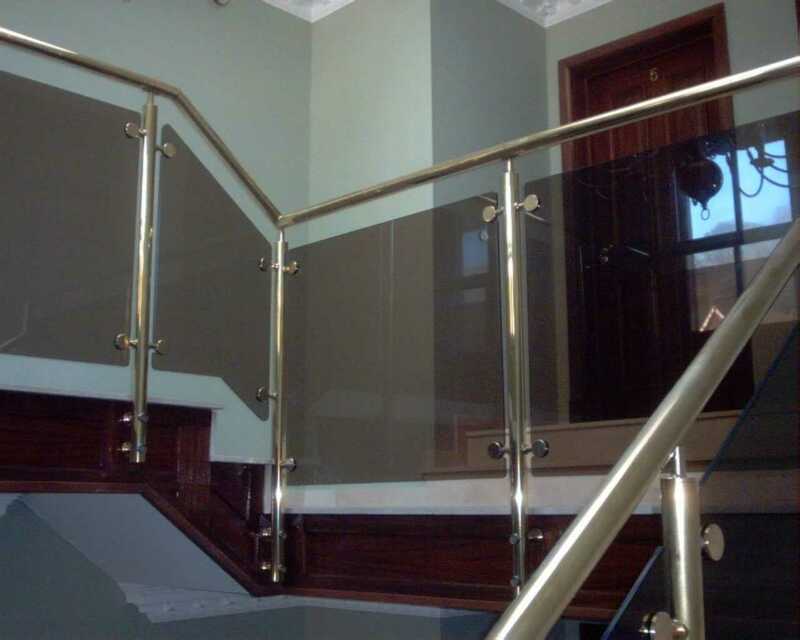 Citadel is a brass handrail and balustrade system which gives a rich and traditional appearance. 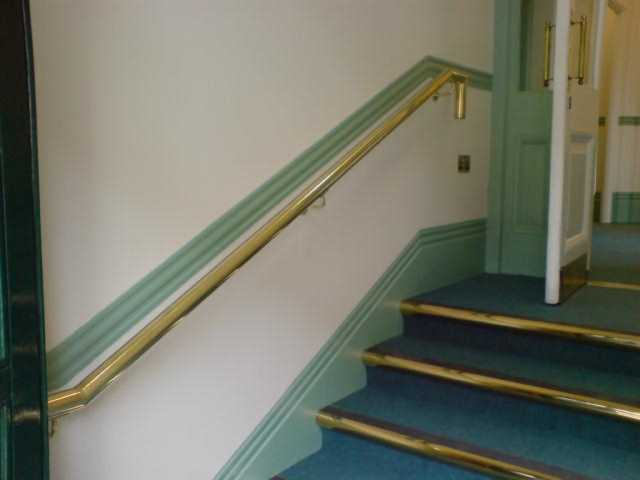 This traditional brass handrail system is at home in prestigious buildings of all types. 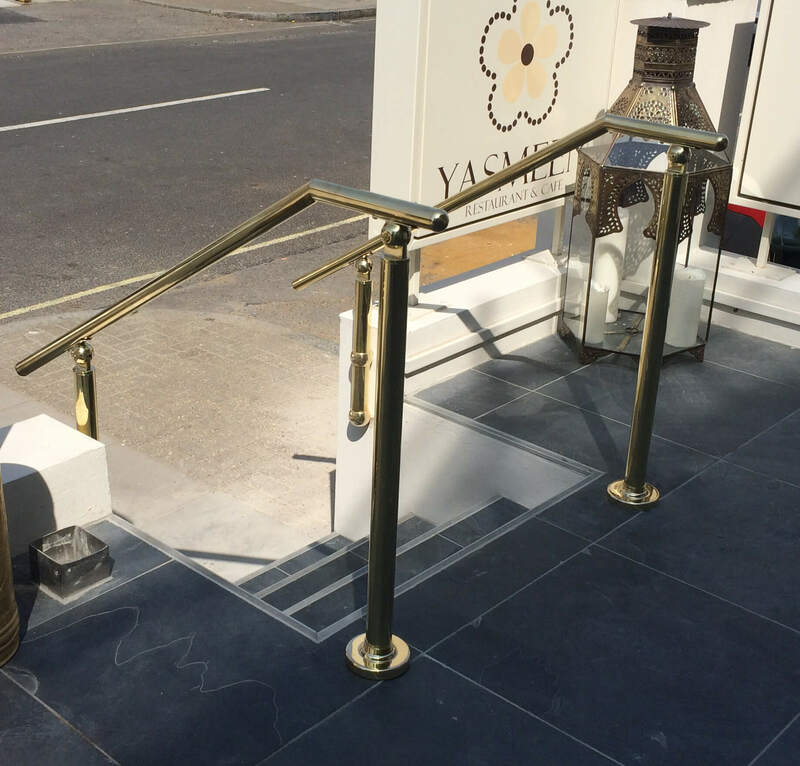 There are a range of infill panel options available which compliment the brass handrail including glass, stainless steel or powder coated running rails. 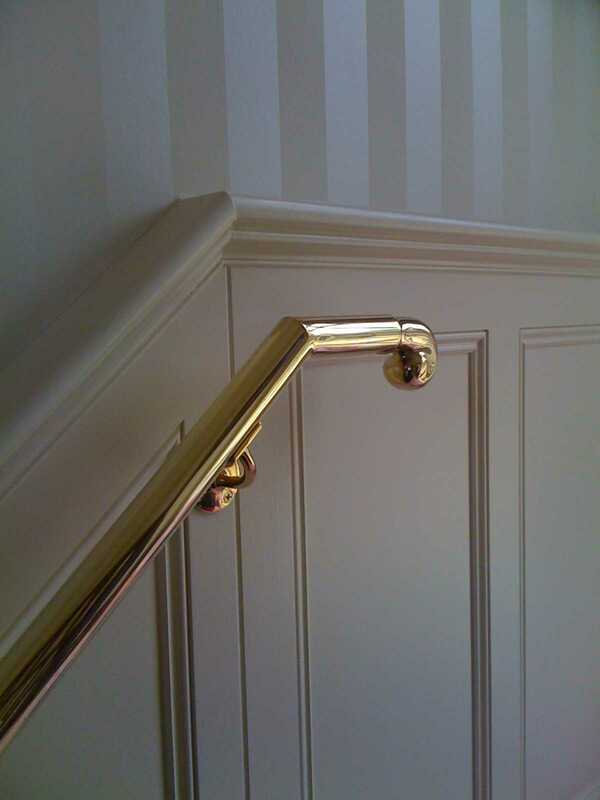 The handrail is available with a range of finishes. Usually the surface finish is bright polished but a fine satin finish can be supplied. To avoid the need for frequent polishing a clear lacquer finish can be applied after polishing. The system is made up of top quality brass components. 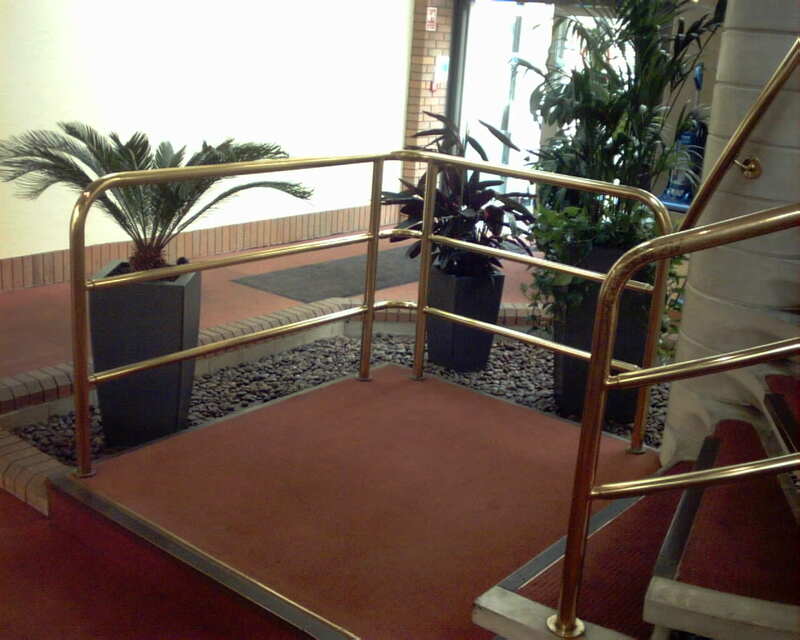 We have been working in the industry, supplying top quality handrails for many years. 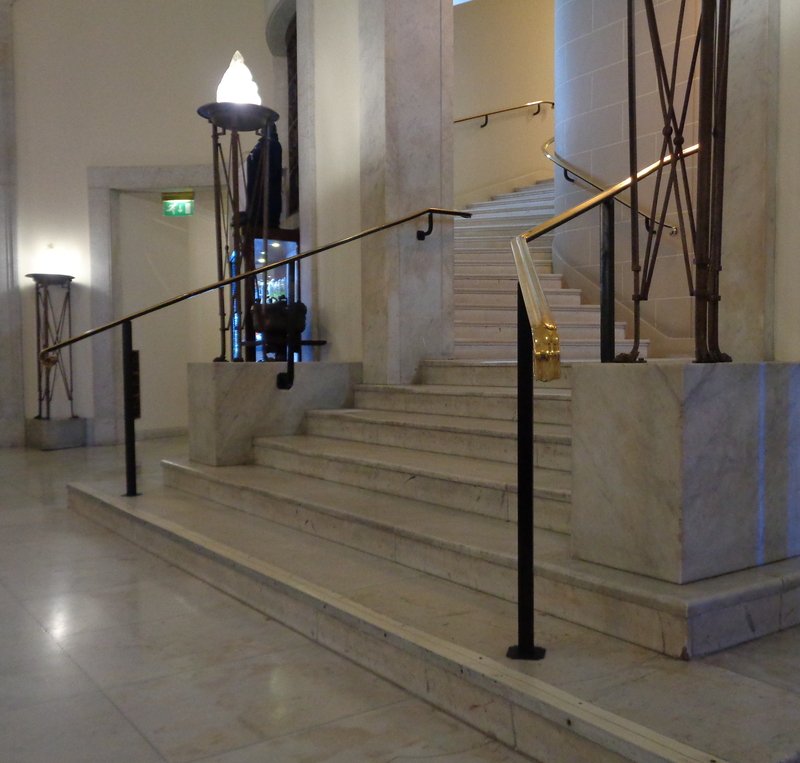 This means we know the exact needs of the modern handrail. 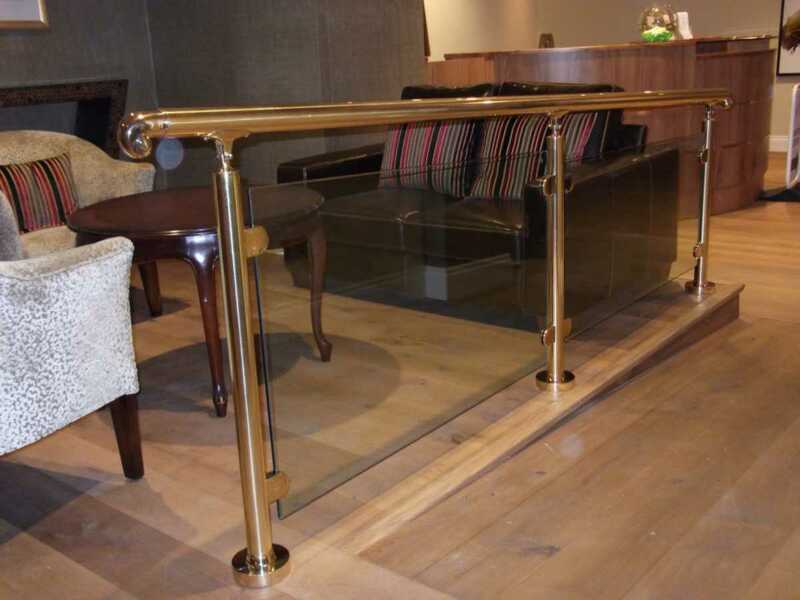 Designed around 50 mm or 38 mm diameter brass tube this handrail system is intended for interior applications. Although with a clear lacquer coating applied it is suitable for exterior applications. 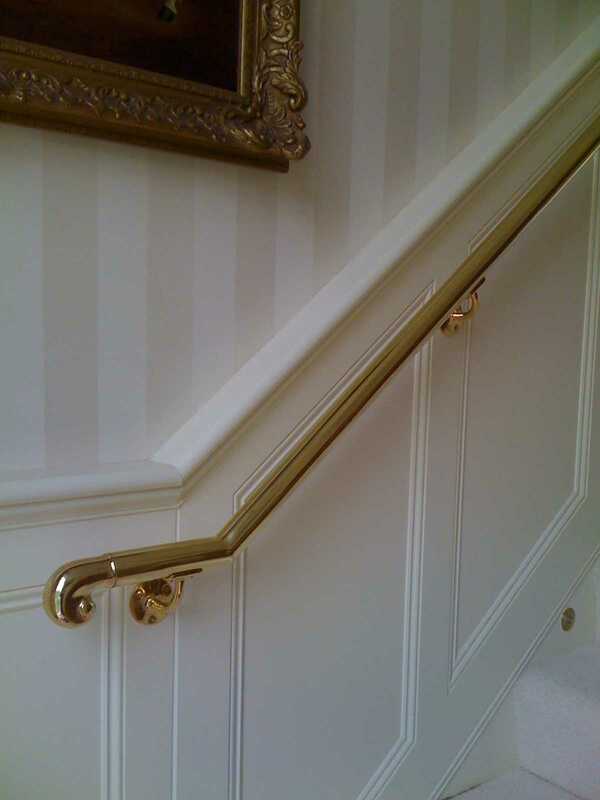 Handrail: – is either 38mm or 50mm diameter brass. Bright or satin polish which can have a clear lacquer applied after polishing to remove the need for frequent polishing. Infill panels: – a choice of glass, stainless steel or powder coated mid / running rails, stainless steel wire or to a bespoke design. 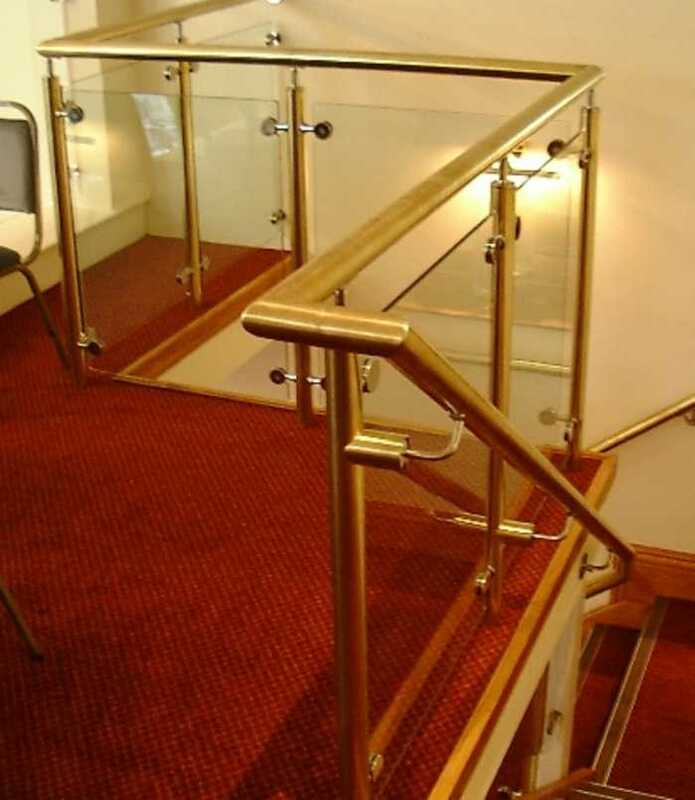 Fittings: – base plates, handrail brackets, glass brackets are either brass or stainless steel. Surface finish: – bright or satin polish, or a clear lacquer applied after polishing. 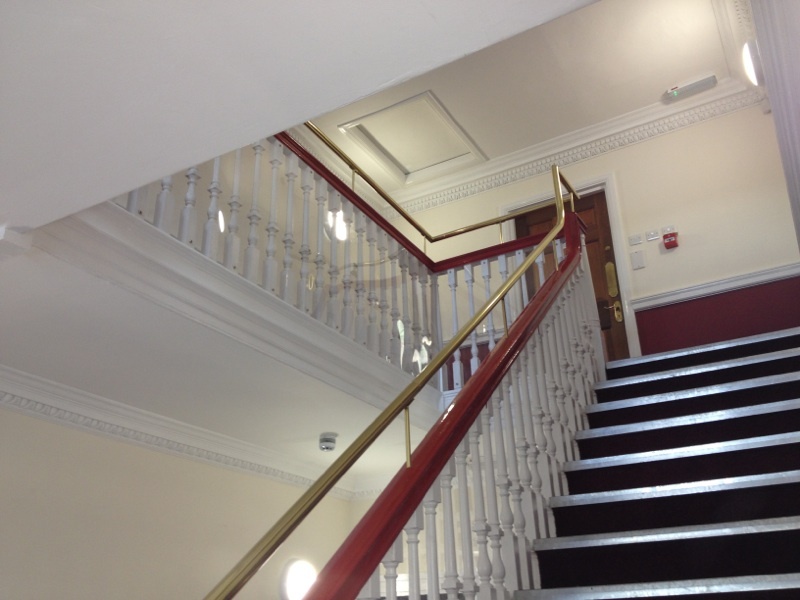 If you have a project which requires a regal finish such as a prestigious building or theatre then a brass handrail will be the best choice . 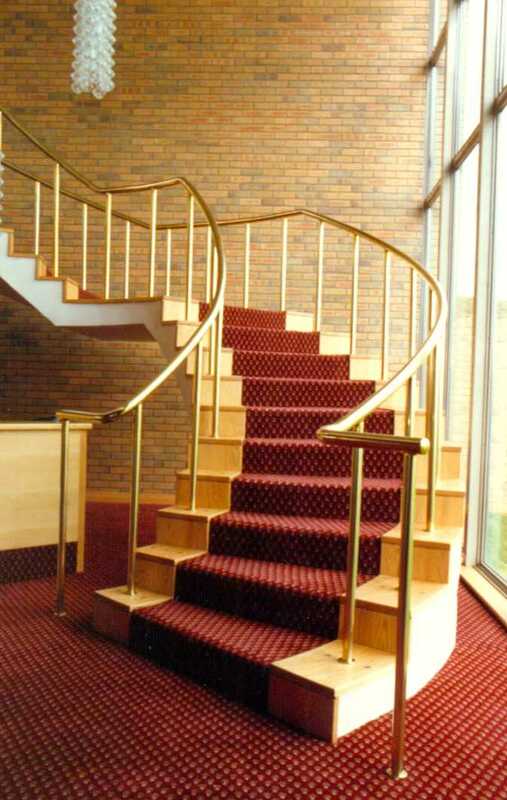 Whether you wish to create an elegant stair way, or a sleek balcony, we have the solution. For more information about our top quality service and products, please get in touch today. We can meet your exact requirements. 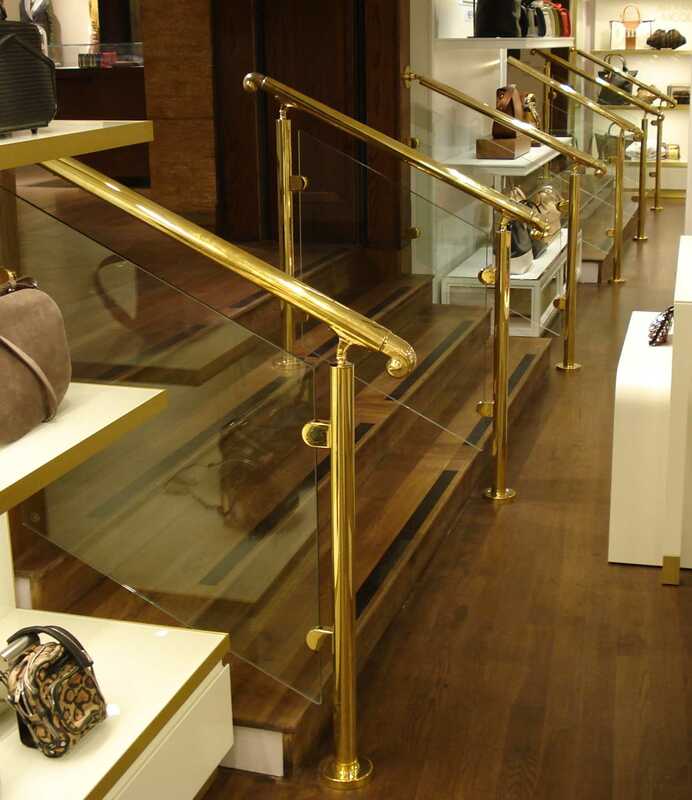 We can help you choose the handrails that offers the best for your project. New alternative surface finishes are now available, these are – Bronze, Antique or Chestnut.